Every month, Watch Gang, my watch subscription service, sends me a brand-new timepiece. Just after Christmas, a cardboard box arrived with my latest acquisition: an Oniss ON2234-MSV. It was wrapped around a pillow and stuffed inside a cardboard watch box. What makes Watch Gang interesting is the method used to select the timepiece. Although my likes and dislikes are taken into account, the subscription service actually chooses which watch is sent to my address. 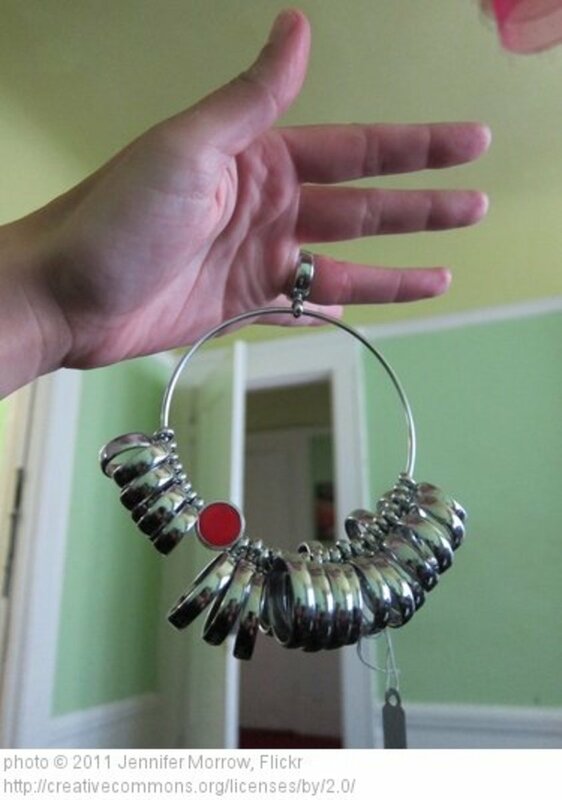 I'm still trying to decide whether this is a good idea. 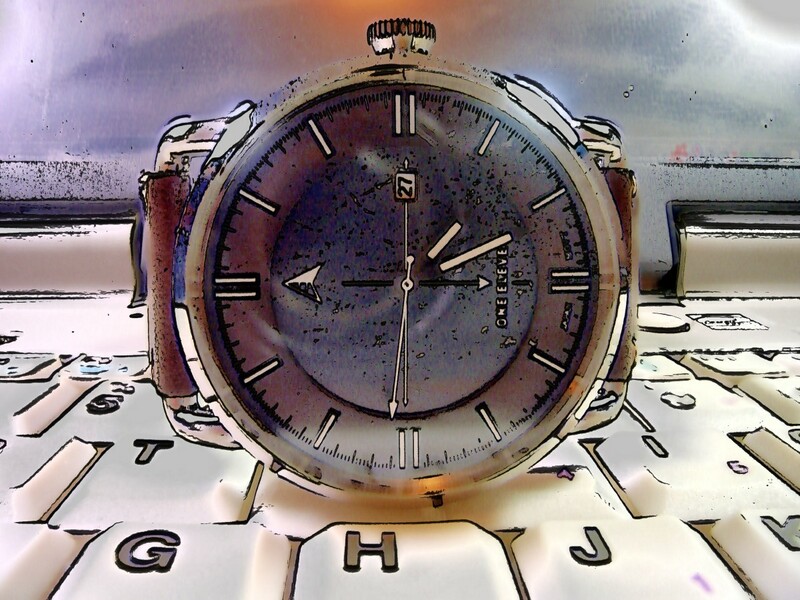 The Oniss timepiece, which is 45 millimeters across and only 11 millimeters thick, reminds me of a large silver coin. This watch is a lightweight, weighing in at 61 grams (2.16 ounces). 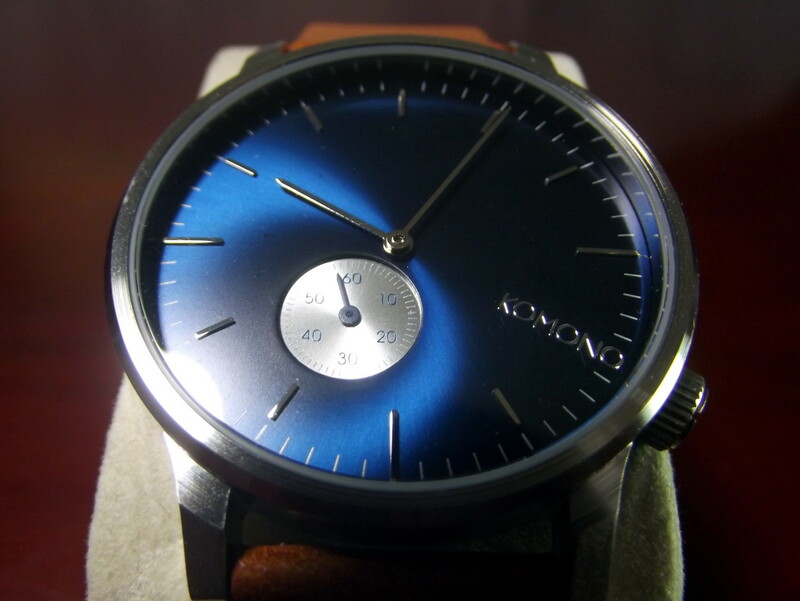 It is fitted with a sandwich-style dial, both layers of which appear to be composed of brushed metal. Two large subdials, providing the date and day of the week, are mounted to the bottom plate. The upper disk is pierced to accommodate these subdials. Arabic numbers, representing one through twelve o’clock, are cut into this disk along its rim. The date function can be adjusted by extending the crown halfway and rotating it counter-clockwise. Time is set by pulling the crown fully out and turning clockwise. If the day of week indication is incorrect, continue the clockwise motion. As each twenty-four hour period elapses, the day of the week indication will advance one day. This process is tedious but, once set properly, will not require repetition. 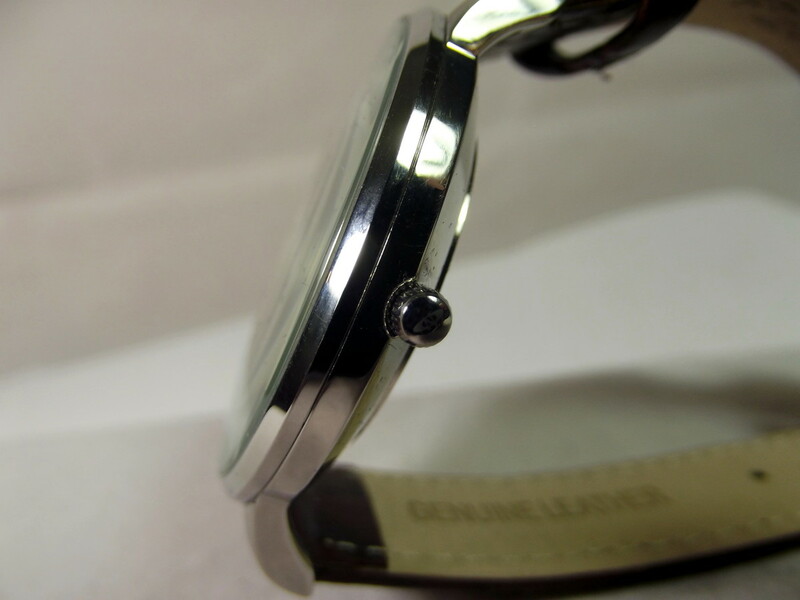 Viewed from the edge, the stainless-steel case is dish-shaped and pierced by a small crown. A mineral glass crystal protects the dial. 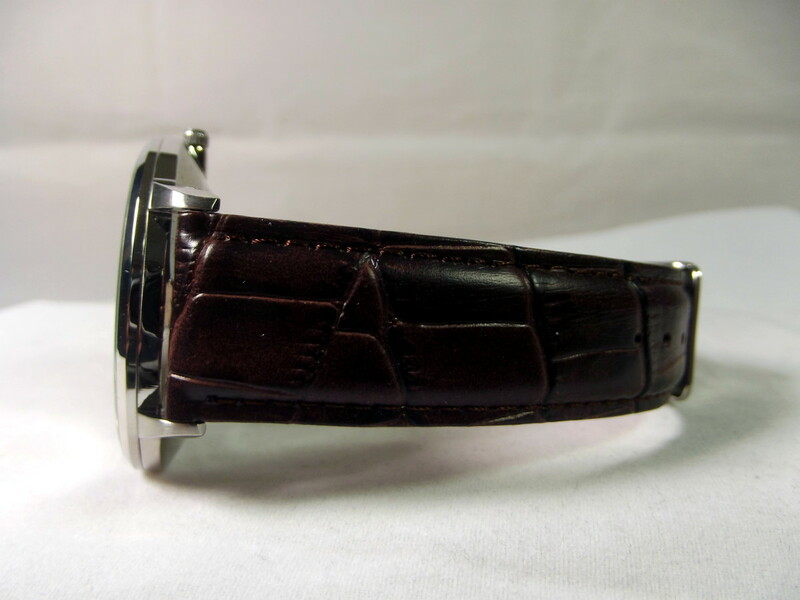 My timepiece came equipped with a decent brown-colored, crocodile-patterned strap. 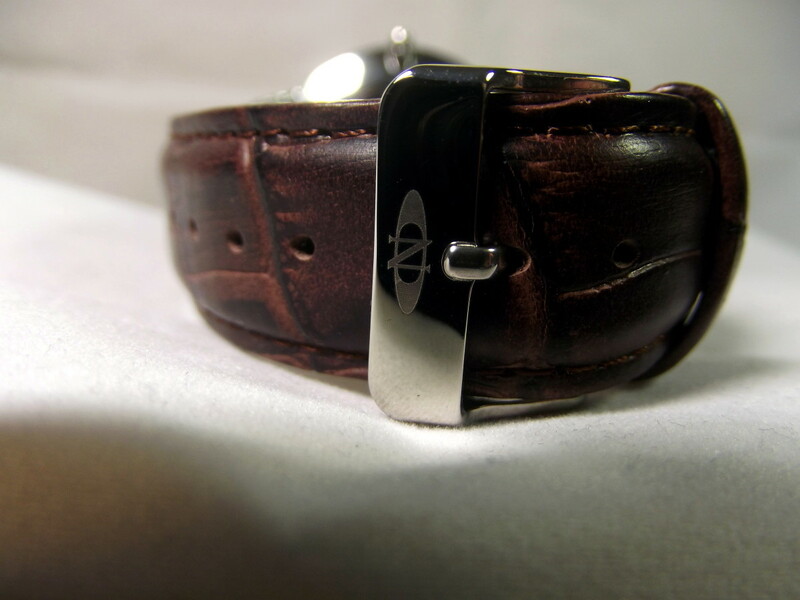 Stainless-steel watchbands are also available. 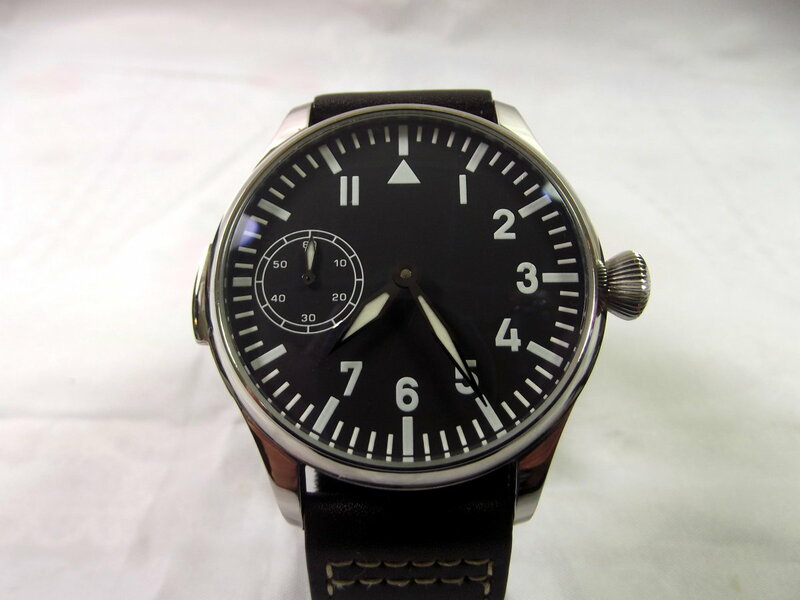 Those who dislike silver dials can opt for different color combinations. Oniss is trademarked by the Nisimov Watch Company, which is located in Los Angeles, California. Nisimov, a watch import/export firm, also offers brands such as Adee Kaye, Beverly Hills, and Corvette. Oniss timepieces are designed in California and manufactured in China. This is not uncommon. 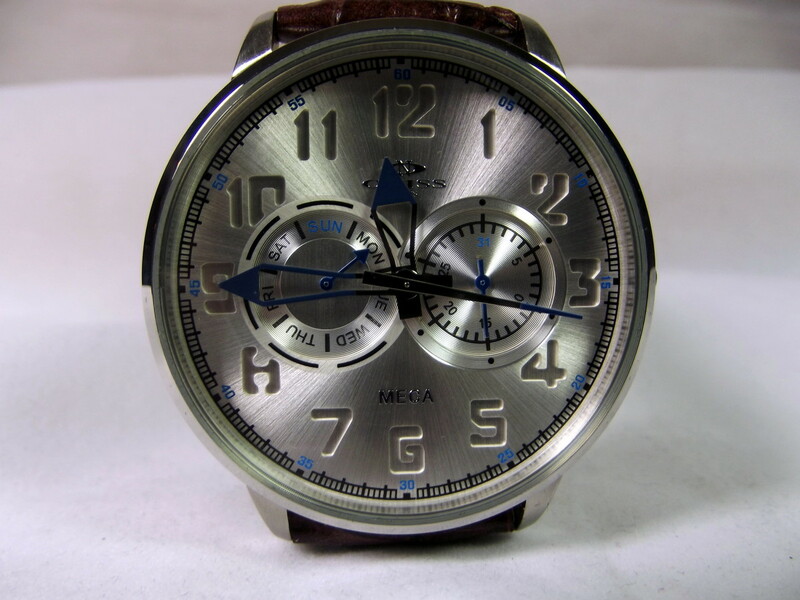 Fossil watches, for example, are designed in Switzerland and assembled at their manufacturing facility in China. Oniss has produced a watch which is composed almost entirely of bright and shiny silver material. Arabic numbers, representing the passing hours, are cut from the upper section of its sandwich dial, revealing the similarly colored lower disk. This provides a three-dimensional effect which, when combined with this dial’s many shiny surfaces, allows its wearer to clearly view the time under low light conditions. In order to provide an unobstructed view of the timepiece’s subdials, the Meca utilizes skeletal hour and minute hands. 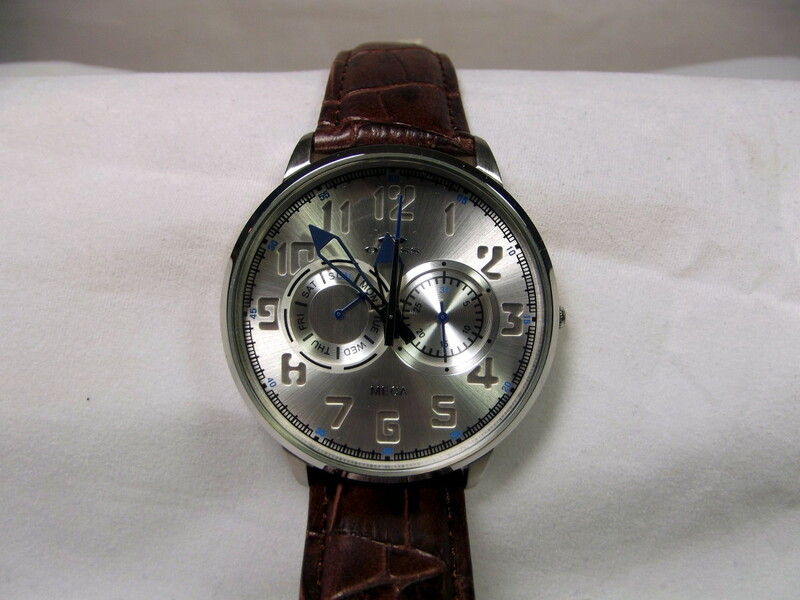 Like most of the watches I have recently reviewed, this offering from Oniss is equipped with a quality leather strap. Although this task needs only to be completed once, rotating the watch hands through a series of days can be a pain. I decided to contact Oniss customer support and ask if there was a faster method to set the day of the week. The website provided a form in which to record my problem, as well as contact information. Three hours later, a representative from Oniss called and patiently explained how to set and adjust my watch. Small companies, in order to compete successfully, must gain attention by performing one task extraordinarily well. It appears that Oniss’s great strength is timely and personal service and support. The Oniss Meca is fitted with a Japanese manufactured quartz movement. All features work correctly. When adjusting the time, all indicators move smoothly and, when the crown is depressed, the minute hand does not stray from its set position. 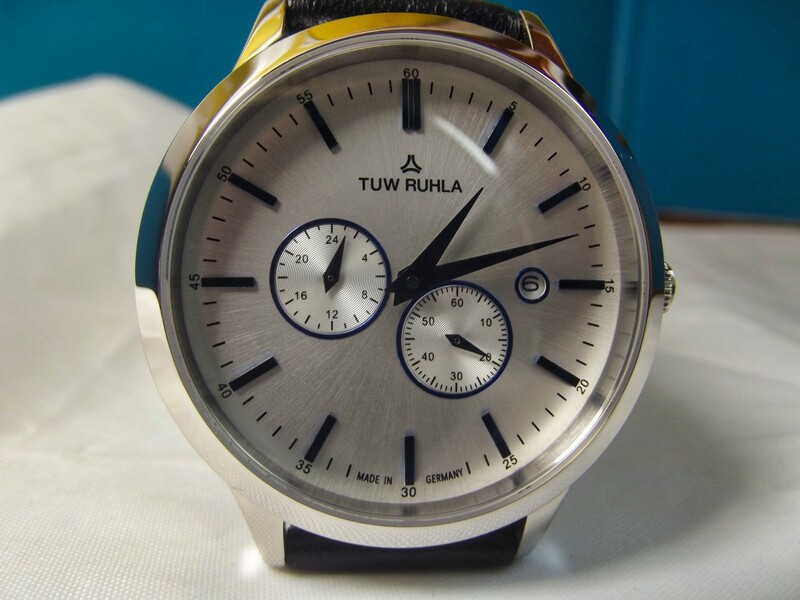 A stainless-steel case, combined with a mineral glass crystal, provide good protection. 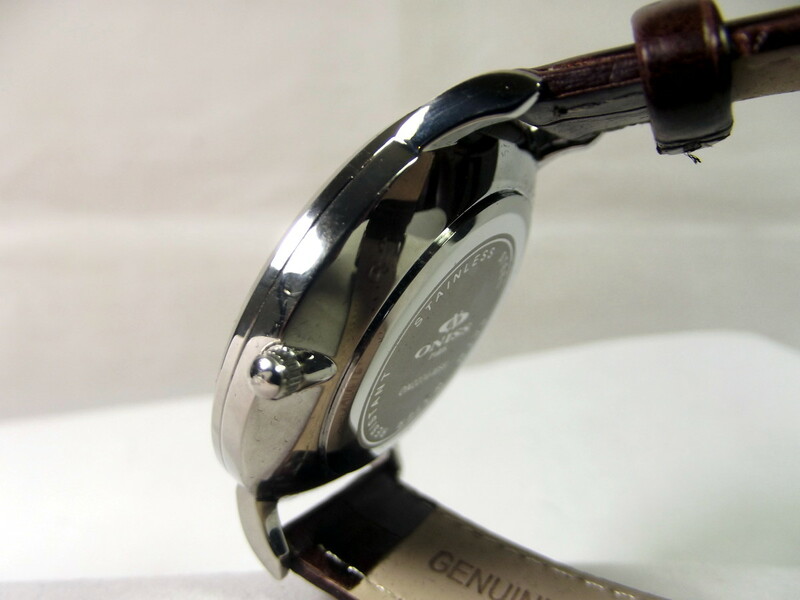 This watch is equipped with a decent leather strap, which will provide yeoman service. 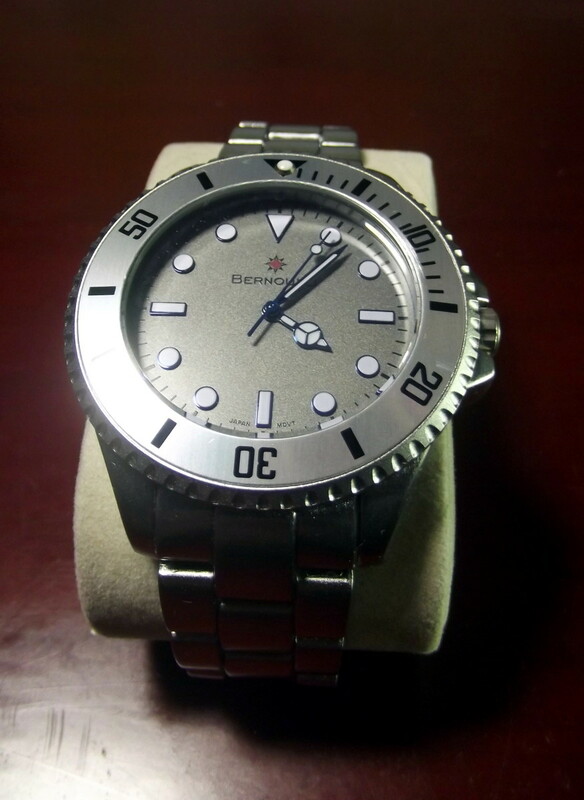 It is rated 5ATM and, unlike many watches I have tested, can be worn while swimming. The Oniss ON2234-MSV is a solidly built watch which offers several useful functions. If you like large but not particularly heavy timepieces and appreciate the personal touch of phone-based support, this watch is worthy of consideration. Watch companies work diligently to enhance their reputation and induce loyalty. In the poll below, please indicate which of the following techniques would most likely convert you into a repeat customer? 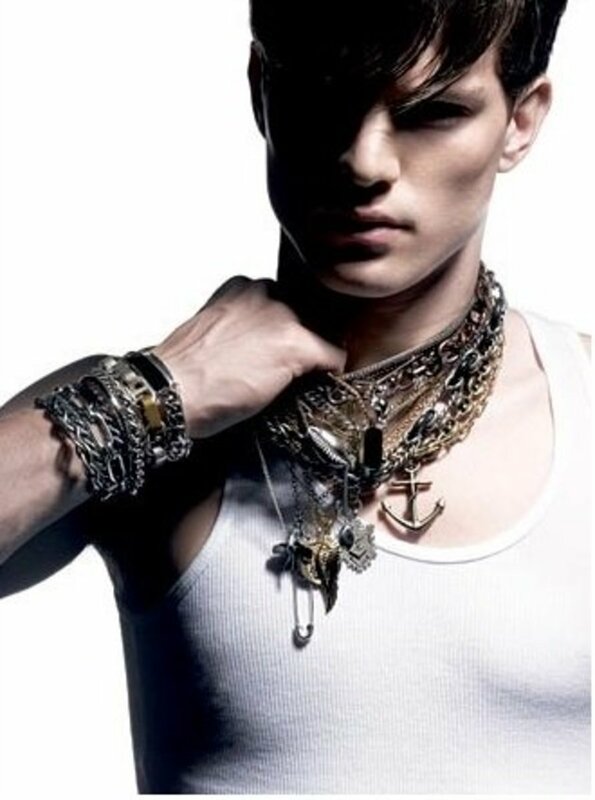 What would it take to convince you to purchase an additional timepiece from the company whose brand you now wear? 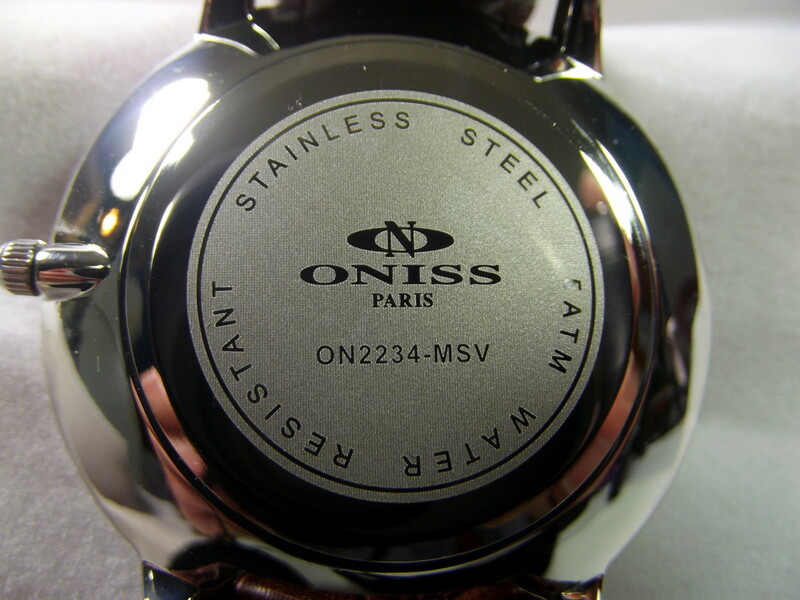 Where can I find information on the battery for an Oniss Paris Meca watch? 1 (800) 664-7756 - Toll No. Great review as always Walter. 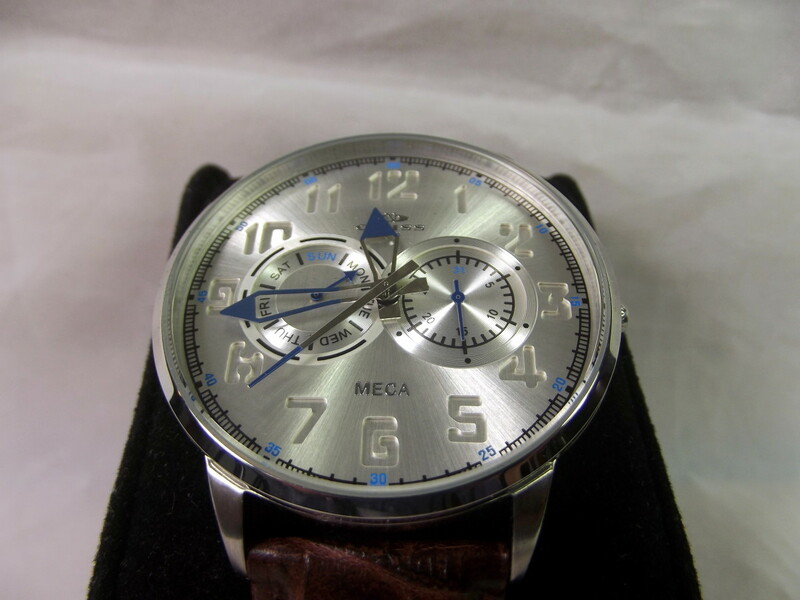 I however prefer mechanical watches. Also, even considering the "surprise" factor, I would rather pick out my own watch brand/model, etc. Keep up the great reviews my friend! I do love the look of that watch. Definitely one I would wear.